The boys’ just walked in from lacrosse practice–today’s rumor at Perryville High is that our track has been condemned and otherwise deemed not suitable for competition. I don’t yet have it in writing or from official sources. 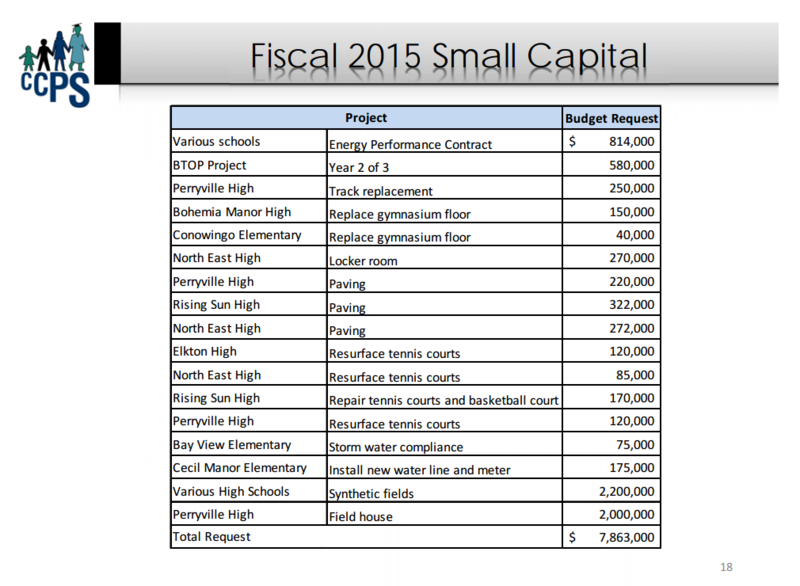 And none of those projects are currently approved for 2015 but I believe CCPS is resubmitting them for consideration.